Here for your consideration is an original Lexx Stones "Lexxite" metallic plume moss cabochon. 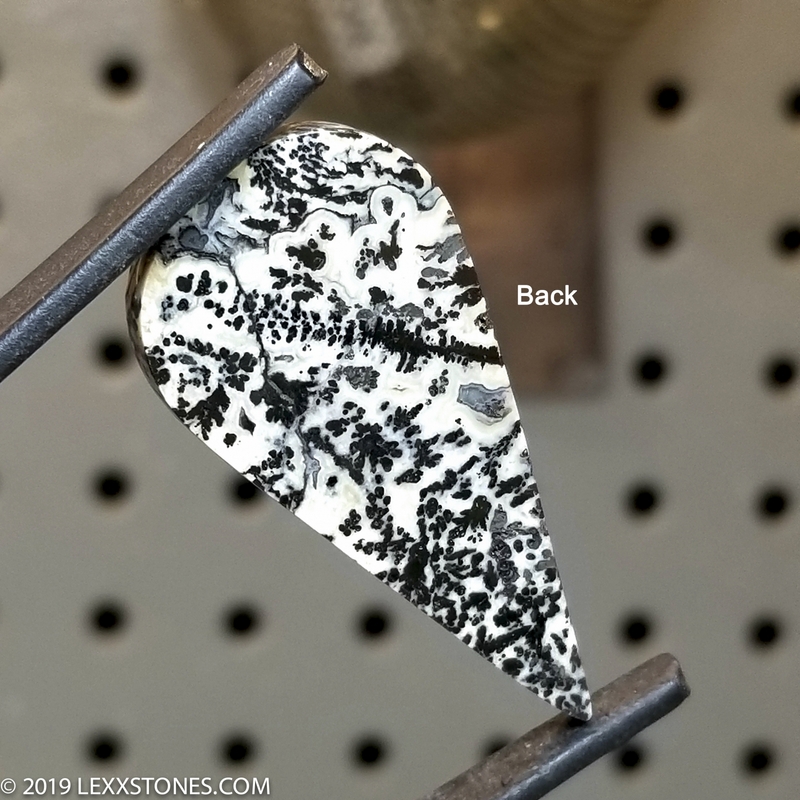 This new, unique, gorgeous material was discovered by our good friend and partner Rodney Frisby. He named it after yours truly. Lexxite comes to us directly from the Frisby claim in Arizona. 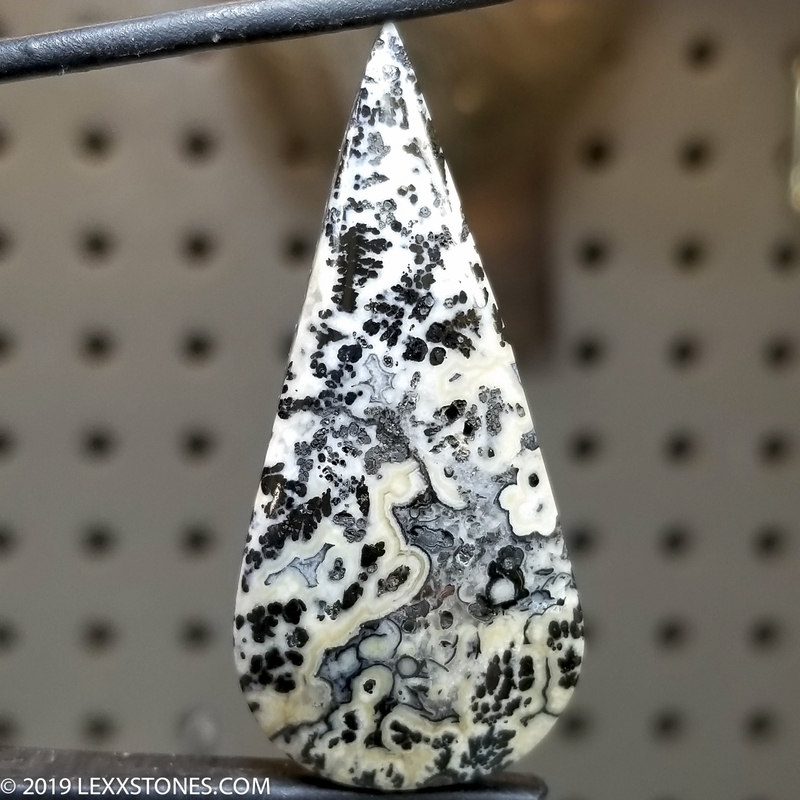 This cab displays the signature shiny black Hematite/ Psilomelane plumes throughout. 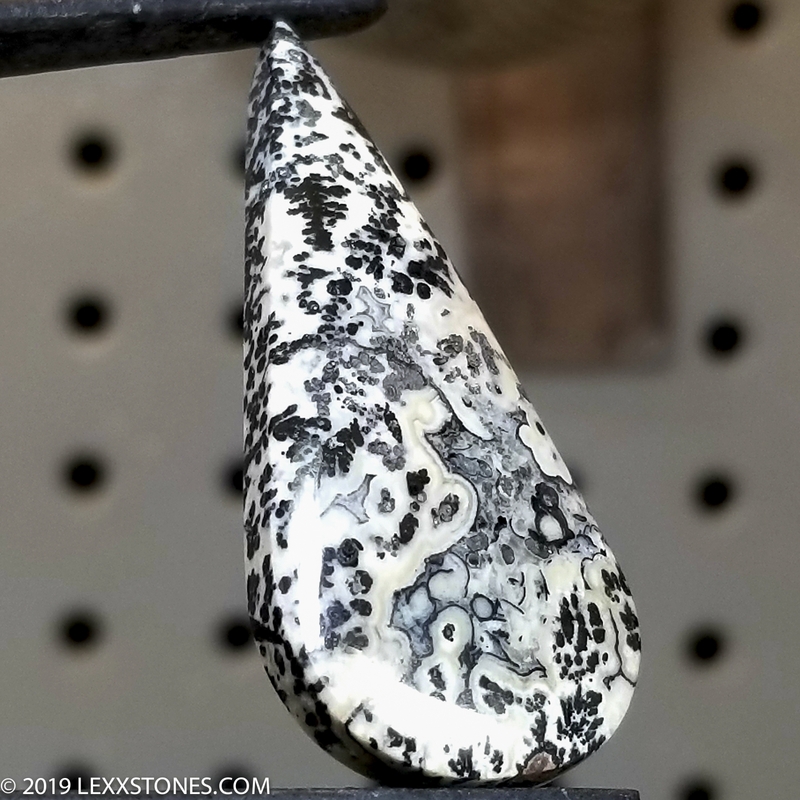 These metal plumes add some weight to the finished cabochon. This sturdy cabochon is unheated, untreated and unstabilized. Standard radius dome. Lustery polish front and back.